Congestive Heart Failure or CHF is a severe circulatory congestion due to decreased myocardial contractility, which results in the heart’s inability to pump sufficient blood to meet the body’s needs. The primary cause of CHF in the first 3 years of life is CHD. Volume overload may cause the right ventricle to hypertrophy to compensate for added volume. Decrease contractility can result from problems such as sever anemia, asphyxia, heart block and acidemia. High cardiac output demands occur when the body’s need for oxygen exceeds the heart’s output s seen in sepsis and hyperthyroidism. Right ventricular failure occurs when the right ventricle is unable to pump blood into the pulmonary circulation. Less blood is oxygenated and pressure increases in the right atrium and systemic venous circulation, which results in edema of the extremities. Left ventricular failure occurs when the left ventricle in unable to pump blood into systemic circulation. Pressure increases in the left atrium and pulmonary veins; then the lungs become congested with blood, causing elevated pulmonary pressure and pulmonary edema. To compensate, the cardiac muscle hypertrophies eventually resulting in decreased ventricular compliance. Decreased compliance requires higher filling pressure to produce the same stroke volume. Increased muscle mass impedes oxygenation of the heart muscle, which leads to decreased contraction force and heart failure. As cardiac output fails, stretch receptors and baroreceptors stimulate the sympathetic nervous system, releasing catecholamines that increase the force and rate of myocardial contraction. This causes increased systemic resistance, increased venous return, and reduced blood flow to the limbs, viscera and kidneys. Sweating results from sympathetic cholinergic fibers, there is extra work for the heart muscle, and there is less systemic blood flow. The renal system responds by releasing renin-angiotensin, which sets off a chain of events – vasoconstriction, leading to increased aldosterone release, causing sodium and water retention and, in turn, increasing preload. Finally, sodium and water retention becomes excessive, resulting in signs of systemic venous congestion and fluid overload. Initial management of the patient with HF depends on severity of HF, seriousness of symptoms, etiology, presence of other illnesses, and precipitating factors. Medication management is paramount in patients with HF. The general principles for management are treatment of any precipitating causes, control of fluid and sodium retention, increasing myocardial contractility, decreasing cardiac workload, and reducing pulmonary and systemic venous congestion. The physician may also prescribe fluid and sodium restriction in an attempt to reduce volume and thereby reduce preload. Iron and folic acid supplements to improve nutritional status. Promote adequate nutrition. Maintain a high-calorie, low-sodium as prescribed. As appropriate, refer the family to a community health nurse for follow up care after discharge. Which of the following conditions is the predominant cause of angina? Inadequate oxygen supply to the myocardium is responsible for the pain accompanying angina. Option A: Increased preload would be responsible for right-sided heart failure. Option B: Decreased afterload causes increased cardiac output. Option C: Coronary artery spasm is responsible for variant angina. ACE inhibitors have become the vasodilators of choice in the client with mild to severe HF. Vasodilator drugs are the only class of drugs clearly shown to improve survival in overt heart failure. Which of the following actions is the first priority of care for a client exhibiting signs and symptoms of coronary artery disease? Enhancing myocardial oxygenation is always the first priority when a client exhibits signs or symptoms of cardiac compromise. Without adequate oxygenation, the myocardium suffers damage. Options A and D: Although educating the client and decreasing anxiety are important in care delivery, neither are priorities when a client is compromised. Option C: Sublingual nitroglycerin is administered to treat acute angina, but the administration isn’t the first priority. Pain associated with angina is relieved by rest. Answer B is incorrect because it is not a true statement. Answer Pain associated with angina is confined to the chest area is incorrect because pain associated with angina can be referred to the jaw, the left arm, and the back. Pain associated with myocardial infarction is referred to the left arm is incorrect because pain from a myocardial infarction can be referred to areas other than the left arm. In older adults who are less active and do not exercise the heart muscle, atrophy can result. Disuse or deconditioning can lead to abnormal changes in the myocardium of the older adult. As a result, under sudden emotional or physical stress, the left ventricle is less able to respond to the increased demands on the myocardial muscle. Which of the following symptoms is most commonly associated with left-sided heart failure? Crackles in the lungs are a classic sign of left-sided heart failure. These sounds are caused by fluid backing up into the pulmonary system. Option B: Arrhythmias can be associated with both right- and left-sided heart failure. Option D: Left-sided heart failure causes hypertension secondary to an increased workload on the system. Which of the following types of angina is most closely related with an impending MI? Unstable angina progressively increases in frequency, intensity, and duration and is related to an increased risk of MI within 3 to 18 months. A female client is brought by ambulance to the hospital emergency room after taking an overdose of barbiturates is comatose. Nurse Trish would be especially alert for which of the following? Barbiturates are CNS depressants; the nurse would be especially alert for the possibility of respiratory failure. Respiratory failure is the most likely cause of death from barbiturate over dose. Which of the following reflects the principle on which a client’s diet will most likely be based during the acute phase of MI? Recommended dietary principles in the acute phase of MI include avoiding large meals because small, easily digested foods are better digested foods are better tolerated. Fluids are given according to the client’s needs, and sodium restrictions may be prescribed, especially for clients with manifestations of heart failure. Cholesterol restrictions may be ordered as well. Options A and D: Clients are not prescribed a diet of liquids only or NPO unless their condition is very unstable. Nurse Betty is assigned to the following clients. The client that the nurse would see first after endorsement? A 34 year-old post operative appendectomy client of five hours who is complaining of pain. A 44 year-old myocardial infarction (MI) client who is complaining of nausea. A 26 year-old client admitted for dehydration whose intravenous (IV) has infiltrated. A 63 year-old post operative’s abdominal hysterectomy client of three days whose incisional dressing is saturated with serosanguinous fluid. Nausea is a symptom of impending myocardial infarction (MI) and should be assessed immediately so that treatment can be instituted and further damage to the heart is avoided. The physician orders continuous intravenous nitroglycerin infusion for the client with MI. Essential nursing actions include which of the following? IV nitro infusion requires an infusion pump for precise control of the medication. Option B: BP monitoring would be done with a continuous system, and more frequently than every 4 hours. Option C: Hourly urine outputs are not always required. Option D: Obtaining serum potassium levels is not associated with nitroglycerin infusion. A 23 year old patient in the 27th week of pregnancy has been hospitalized on complete bed rest for 6 days. She experiences sudden shortness of breath, accompanied by chest pain. Which of the following conditions is the most likely cause of her symptoms? Myocardial infarction due to a history of atherosclerosis. Pulmonary embolism due to deep vein thrombosis (DVT). Anxiety attack due to worries about her baby's health. Congestive heart failure due to fluid overload. The left anterior descending artery is the primary source of blood for the anterior wall of the heart. Options A, B, and D: The circumflex artery supplies the lateral wall, the internal mammary artery supplies the mammary, and the right coronary artery supplies the inferior wall of the heart. Which of the following is the most common symptom of myocardial infarction? The most common symptom of an MI is chest pain, resulting from deprivation of oxygen to the heart. Dyspnea is the second most common symptom, related to an increase in the metabolic needs of the body during an MI. Edema is a later sign of heart failure, often seen after an MI. Palpitations may result from reduced cardiac output, producing arrhythmias. Which of the following heart muscle diseases is unrelated to other cardiovascular disease? Cardiomyopathy isn’t usually related to an underlying heart disease such as atherosclerosis. The etiology in most cases is unknown. Options B and C: CAD and MI are directly related to atherosclerosis. Option D:Pericardial effusion is the escape of fluid into the pericardial sac, a condition associated with Pericarditis and advanced heart failure. Which of the following interventions should be the first priority when treating a client experiencing chest pain while walking? The initial priority is to decrease the oxygen consumption; this would be achieved by sitting the client down. Option B and D: After the ECG, sublingual nitro would be administered. When the client’s condition is stabilized, he can be returned to bed. Option C: An ECG can be obtained after the client is sitting down. Which patient’s nursing care would be most appropriate for the charge nurse to assign to the LPN, under the supervision of the RN team leader? Which of the following symptoms might a client with right-sided heart failure exhibit? Inadequate deactivation of aldosterone by the liver after right-sided heart failure leads to fluid retention, which causes oliguria. What is the first intervention for a client experiencing MI? Administering supplemental oxygen to the client is the first priority of care. The myocardium is deprived of oxygen during an infarction, so additional oxygen is administered to assist in oxygenation and prevent further damage. Options A and C: Morphine and nitro are also used to treat MI, but they’re more commonly administered after the oxygen. Option D: An ECG is the most common diagnostic tool used to evaluate MI. In which of the following types of cardiomyopathy does cardiac output remain normal? Cardiac output isn’t affected by hypertrophic cardiomyopathy because the size of the ventricle remains relatively unchanged. All of the rest decrease cardiac output. What is the most common complication of an MI? Arrhythmias, caused by oxygen deprivation to the myocardium, are the most common complication of an MI. Option A: Cardiogenic shock, another complication of an MI, is defined as the end stage of left ventricular dysfunction. This condition occurs in approximately 15% of clients with MI. Option B: Because the pumping function of the heart is compromised by an MI, heart failure is the second most common complication. Option D: Pericarditis most commonly results from a bacterial or viral infection but may occur after the MI. A normal apical impulse is found under over the apex of the heart and is typically located and auscultated in the left fifth intercostal space in the midclavicular line. An apical impulse located or auscultated below the fifth intercostal space or lateral to the midclavicular line may indicate left ventricular enlargement. Toxic levels of Lanoxin stimulate the medullary chemoreceptor trigger zone, resulting in nausea and subsequent anorexia. Elevated venous pressure, exhibited as jugular vein distention, indicates a failure of the heart to pump. Options A and D: JVD isn’t a symptom of abdominal aortic aneurysm or pneumothorax. Option C: An MI, if severe enough, can progress to heart failure, however, in and of itself, an MI doesn’t cause JVD. On the evening shift, the triage nurse evaluates several clients who were brought to the emergency department. Which in the following clients should receive highest priority? These are likely signs of an acute myocardial infarction (MI). An acute MI is a cardiovascular emergency requiring immediate attention. Acute MI is potentially fatal if not treated immediately. A nurse is preparing for the admission of a client with heart failure who is being sent directly to the hospital from the physician’s office. The nurse would plan on having which of the following medications readily available for use? Digoxin exerts a positive inotropic effect on the heart while slowing the overall rate through a variety of mechanisms. Digoxin is the medication of choice to treat heart failure. Options A, C, and D: Diltiazem (calcium channel blocker) and propranolol and metoprolol (beta blockers) have a negative inotropic effect and would worsen the failing heart. Afterload refers to the resistance on maintained by the aortic and pulmonic valves, the condition and tone of the aorta, and the resistance offered by the systemic and pulmonary arterioles. Option B: Cardiac output is the amount of blood expelled by the heart per minute. Septal involvement occurs in which type of cardiomyopathy? In hypertrophic cardiomyopathy, hypertrophy of the ventricular septum—not the ventricle chambers—is apparent. This abnormality isn’t seen in other types of cardiomyopathy. A patient admitted to the hospital with myocardial infarction develops severe pulmonary edema. Which of the following symptoms should the nurse expect the patient to exhibit? The client who undergoes cardiac surgery is at risk for renal injury from poor perfusion, hemolysis, low cardiac output, or vasopressor medication therapy. Renal insult is signaled by decreased urine output, and increased BUN and creatinine levels. The client may need medications such as dopamine (Intropin) to increase renal perfusion and possibly could need peritoneal dialysis or hemodialysis. If medical treatments fail, which of the following invasive procedures is necessary for treating cariomyopathy? The only definitive treatment for cardiomyopathy that can’t be controlled medically is a heart transplant because the damage to the heart muscle is irreversible. High pulmonary artery wedge pressures are diagnostic for left-sided heart failure. With leftsided heart failure, pulmonary edema can develop causing pulmonary crackles. In leftsided heart failure, hypotension may result and urine output will decline. Dry mucous membranes aren’t directly associated with elevated pulmonary artery wedge pressures. Stimulation of the sympathetic nervous system produces which of the following responses? Stimulation of the sympathetic nervous system causes tachycardia and increased contractility. The other symptoms listed are related to the parasympathetic nervous system, which is responsible for slowing the heart rate. Pulmonary edema causes the client to be extremely agitated and anxious. The client may complain of a sense of drowning, suffocation, or smothering. When developing a teaching plan for a client with endocarditis, which of the following points is most essential for the nurse to include? An essential teaching point is to report signs of relapse, such as fever, anorexia, and night sweats, to the physician. Option B: To prevent further endocarditis episodes, prophylactic antibiotics are taken before and sometimes after dental work, childbirth, or GU, GI, or gynecologic procedures. Options C and D: A potassium-rich diet and daily pulse monitoring aren’t necessary for a client with endocarditis. Which of the following results is the primary treatment goal for angina? Reversal of the ischemia is the primary goal, achieved by reducing oxygen consumption and increasing oxygen supply. Option B: An infarction is permanent and can’t be reversed. The nurse coming on duty receives the report from the nurse going off duty. Which of the following clients should the on-duty nurse assess first? The 58-year-old client who was admitted 2 days ago with heart failure, BP of 126/76, and a respiratory rate of 21 breaths a minute. The 88-year-old client with end-stage right-sided heart failure, BP of 78/50, and a DNR order. The 62-year-old client who was admitted one day ago with thrombophlebitis and receiving IV heparin. A 76-year-old client who was admitted 1 hour ago with new-onset atrial fibrillation and is receiving IV diltiazem (Cardizem). The client with A-fib has the greatest potential to become unstable and is on IV medication that requires close monitoring. After assessing this client, the nurse should assess the client with thrombophlebitis who is receiving a heparin infusion, and then go to the 58-year-old client admitted 2-days ago with heart failure (her s/s are resolving and don’t require immediate attention). The lowest priority is the 89-year-old with end stage right-sided heart failure, who requires time consuming supportive measures. Which of the following symptoms is the most likely origin of pain the client described as knifelike chest pain that increases in intensity with inspiration? Pulmonary pain is generally described by these symptoms. Options A and B: Cardiac and GI pains don’t change with respiration. Option C: Musculoskeletal pain only increases with movement. This client is the most stable with minimal risk of complications or instability. The nurse can utilize basic nursing skills to care for this client. The most common symptom of an MI is chest pain, resulting from deprivation of oxygen to the heart. Option B: Dyspnea is the second most common symptom, related to an increase in the metabolic needs of the body during an MI. Option C: Edema is a later sign of heart failure, often seen after an MI. Option D: Palpitations may result from reduced cardiac output, producing arrhythmias. Nurse Patricia finds a female client who is post-myocardial infarction (MI) slumped on the side rails of the bed and unresponsive to shaking or shouting. Which is the nurse next action? Call for help and note the time. Give two sharp thumps to the precordium, and check the pulse. Having established, by stimulating the client, that the client is unconscious rather than sleep, the nurse should immediately call for help. This may be done by dialing the operator from the client’s phone and giving the hospital code for cardiac arrest and the client’s room number to the operator, of if the phone is not available, by pulling the emergency call button. Noting the time is important baseline information for cardiac arrest procedure. Which of the following is an expected outcome for a client on the second day of hospitalization after an MI? By day 2 of hospitalization after an MI, clients are expected to be able to perform personal care without chest pain. Day 2 hospitalization may be too soon for clients to be able to identify risk factors for MI or begin a walking program; however, the client may be sitting up in a chair as part of the cardiac rehabilitation program. Severe chest pain should not be present. It is uncomfortable for the client, giving a sense of impending doom. It produces a high cardiac output that quickly leads to cerebral and myocardial ischemia. It is almost impossible to convert to a normal sinus rhythm. Ventricular tachycardia is a life-threatening dysrhythmia that results from an irritable ectopic focus that takes over as the pacemaker for the heart. Option A: Client’s frequently experienced a feeling of impending death. Ventricular tachycardia is treated with antiarrhythmic medications or magnesium sulfate, cardioversion (client awake), or defibrillation (loss of consciousness). Option B: The low cardiac output that results can lead quickly to cerebral and myocardial ischemia. Option D: Ventricular tachycardia can deteriorate into ventricular fibrillation at any time. Which of the following recurring conditions most commonly occurs in clients with cardiomyopathy? Because the structure and function of the heart muscle is affected, heart failure most commonly occurs in clients with cardiomyopathy. Option C: MI results from prolonged myocardial ischemia due to reduced blood flow through one of the coronary arteries. Option D: Pericardial effusion is most predominant in clients with pericarditis. Which of the following blood gas abnormalities is initially most suggestive of pulmonary edema? In an attempt to compensate for increased work of breathing due to hyperventilation, carbon dioxide decreases, causing hypocapnea. If the condition persists, CO2 retention occurs and hypercapnia results. What is the primary reason for administering morphine to a client with myocardial infarction? Morphine is administered because it decreases myocardial oxygen demand. Morphine will also decrease pain and anxiety while causing sedation, but isn't primarily given for those reasons. Which of the following actions is the appropriate initial response to a client coughing up pink, frothy sputum? Production of pink, frothy sputum is a classic sign of acute pulmonary edema. Because the client is at high risk for decompensation, the nurse should call for help but not leave the room. The other three interventions would immediately follow. Which of the following classes of drugs is most widely used in the treatment of cardiomyopathy? By decreasing the heart rate and contractility, beta-blockers improve myocardial filling and cardiac output, which are primary goals in the treatment of cardiomyopathy. Option A: Antihypertensives aren’t usually indicated because they would decrease cardiac output in clients who are already hypotensive. Option C: Calcium channel blockers are sometimes used for the same reasons as beta-blockers; however, they aren’t as effective as beta-blockers and cause increased hypotension. Option D: Nitrates aren’t used because of their dilating effects, which would further compromise the myocardium. Toxicity from which of the following medications may cause a client to see a green-yellow halo around lights? One of the most common signs of digoxin toxicity is the visual disturbance known as the “green-yellow halo sign.” The other medications aren’t associated with such an effect. Variant angina, or Prinzmetal’s angina, is prolonged and severe and occurs at the same time each day, most often in the morning. Option A: Stable angina is induced by exercise and is relieved by rest or nitroglycerin tablets. Option B: Unstable angina occurs at lower and lower levels of activity and rest, is less predictable and is often a precursor of myocardial infarction. What is the primary reason for administering morphine to a client with an MI? Morphine is administered because it decreases myocardial oxygen demand. Options A, B, and C: Morphine will also decrease pain and anxiety while causing sedation, but it isn’t primarily given for those reasons. Which of the following positions would best aid breathing for a client with acute pulmonary edema? A high Fowler’s position promotes ventilation and facilitates breathing by reducing venous return. Options A and B: Lying flat and side-lying positions worsen the breathing and increase the workload of the heart. Option D: Semi-Fowler’s position won’t reduce the workload of the heart as well as the Fowler’s position will. Which of the following conditions is most closely associated with weight gain, nausea, and a decrease in urine output? Weight gain, nausea, and a decrease in urine output are secondary effects of right-sided heart failure. Option A: Angina pectoris doesn’t cause weight gain, nausea, or a decrease in urine output. Option B: Cardiomyopathy is usually identified as a symptom of left-sided heart failure. Option C: Left-sided heart failure causes primarily pulmonary symptoms rather than systemic ones. The first signs and symptoms of digoxin toxicity in adults include abdominal pain, N/V, visual disturbances (blurred, yellow, or green vision, halos around lights), bradycardia, and other dysrhythmias. The client with chest pain should be seen first because this could indicate a myocardial infarction. The client in answer A has a blood glucose within normal limits. The client in answer B is maintained on blood pressure medication. The client in answer D is in no distress. A client admitted with angina compains of severe chest pain and suddenly becomes unresponsive. After establishing unresponsiveness, which of the following actions should the nurse take first? Immediately after establishing unresponsiveness, the nurse should activate the resuscitation team. The next step is to open the airway using the head-tilt, chin-lift maneuver and check for breathing (looking, listening, and feeling for no more than 10-seconds). If the client isn’t breathing, give two slow breaths using a bag mask or pocket mask. Next, check for signs of circulation by palpating the carotid pulse. A nurse is conducting a health history with a client with a primary diagnosis of heart failure. Which of the following disorders reported by the client is unlikely to play a role in exacerbating the heart failure? Heart failure is precipitated or exacerbated by physical or emotional stress, dysrhythmias, infections, anemia, thyroid disorders, pregnancy, Paget’s disease, nutritional deficiencies (thiamine, alcoholism), pulmonary disease, and hypervolemia. In which of the following disorders would the nurse expect to assess sacral edema in a bedridden client? The most accurate area on the body to assess dependent edema in a bed-ridden client is the sacral area. Sacral, or dependent, edema is secondary to right-sided heart failure. After an anterior wall myocardial infarction, which of the following problems is indicated by auscultation of crackles in the lungs? The left ventricle is responsible for most of the cardiac output. An anterior wall MI may result in a decrease in left ventricular function. When the left ventricle doesn’t function properly, resulting in left-sided heart failure, fluid accumulates in the interstitial and alveolar spaces in the lungs and causes crackles. Options B, C, and D: Pulmonic and tricuspid valve malfunction cause right-sided heart failure. Which of the following foods should the nurse teach a client with heart failure to avoid or limit when following a 2-gram sodium diet? Canned foods and juices, such as tomato juice, are typically high in sodium and should be avoided in a sodium-restricted diet. Which of the following conditions is most commonly responsible for myocardial infarction? Coronary artery thrombosis causes an inclusion of the artery, leading to myocardial death. Option A: An aneurysm is an outpouching of a vessel and doesn’t cause an MI. Option B: Heart failure is usually a result from an MI. Option D: Renal failure can be associated with MI but isn’t a direct cause. Acute pulmonary edema caused by heart failure is usually a result of damage to which of the following areas of the heart? The left ventricle is responsible for the majority of force for the cardiac output. If the left ventricle is damaged, the output decreases and fluid accumulates in the interstitial and alveolar spaces, causing pulmonary edema. Option A: Damage to the left atrium would contribute to heart failure but wouldn’t affect cardiac output or, therefore, the onset of pulmonary edema. Options B and D: If the right atrium and right ventricle were damaged, right-sided heart failure would result. "When you can climb 2 flights of stairs without problems, it is generally safe." There is a risk of cardiac rupture at the point of the myocardial infarction for about 6 weeks. Scar tissue should form about that time. Waiting until the client can tolerate climbing stairs is the usual advice given by health care providers. Dyspnea, cough, expectoration, weakness, and edema are classic signs and symptoms of which of the following conditions? These are the classic signs of failure. Option A: Pericarditis is exhibited by a feeling of fullness in the chest and auscultation of a pericardial friction rub. Option B: Hypertension is usually exhibited by headaches, visual disturbances, and a flushed face. Option D: MI causes heart failure but isn’t related to these symptoms. An 18-year-old client who recently had an URI is admitted with suspected rheumatic fever. Which assessment findings confirm this diagnosis? Diagnosis of rheumatic fever requires that the client have either two major Jones criteria or one minor criterion plus evidence of a previous streptococcal infection. Major criteria include carditis, polyarthritis, Sydenham’s chorea, subcutaneous nodules, and erythema maginatum (transient, nonprurtic macules on the trunk or inner aspects of the upper arms or thighs). Minor criteria include fever, arthralgia, elevated levels of acute phase reactants, and a prolonged PR-interval on ECG. Furosemide is administered intravenously to a client with HF. How soon after administration should the nurse begin to see evidence of the drugs desired effect? After IV injection of furosemide, diuresis normally begins in about 5 minutes and reaches its peak within about 30 minutes. Medication effects last 2 to 4 hours. Aspirin does have antipyretic, antiplatelet, and analgesic actions, but the primary reason ASA is administered to the client experiencing an MI is its antithrombotic action. Troponin I levels rise rapidly and are detectable within 1 hour of myocardial injury. Troponin I levels aren’t detectable in people without cardiac injury. Option A: Lactate dehydrogenase (LDH) is present in almost all body tissues and not specific to heart muscle. LDH isoenzymes are useful in diaagnosing a cardiac injury. Option B: CBC is obtained to review blood counts, and a complete chemistry is obtained to review electrolytes. Option D: Because CK levels may rise with a skeletal muscle injury, CK isoenzymes are required to detect cardiac injury. Which of the following complications is indicated by a third heart sound (S3)? Rapid filling of the ventricle causes vasodilation that is auscultated as S3. Option B and D: Increased atrial contraction or systemic hypertension can result in a fourth heart sound. Option C: Aortic valve malfunction is heard as a murmur. Which of the following conditions is associated with a predictable level of pain that occurs as a result of physical or emotional stress? The pain of stable angina is predictable in nature, builds gradually, and quickly reaches maximum intensity. Option C: Unstable angina doesn’t always need a trigger, is more intense, and lasts longer than stable angina. Option D: Variant angina usually occurs at rest—not as a result of exercise or stress. Which of the following would be a priority nursing diagnosis for the client with heart failure and pulmonary edema? Activity intolerance is a primary problem for clients with heart failure and pulmonary edema. The decreased cardiac output associated with heart failure leads to reduced oxygen and fatigue. Clients frequently complain of dyspnea and fatigue. Options A, B, and D: The client could be at risk for infection related to stasis of secretions or impaired skin integrity related to pressure. However, these are not the priority nursing diagnoses for the client with HF and pulmonary edema, nor is constipation related to immobility. Which of the following is a compensatory response to decreased cardiac output? The body compensates for a decrease in cardiac output with a rise in BP, due to the stimulation of the sympathetic NS and an increase in blood volume as the kidneys retain sodium and water. Option A: Blood pressure doesn’t initially drop in response to the compensatory mechanism of the body. Option B: Alteration in LOC will occur only if the decreased cardiac output persists. Myocardial oxygen consumption increases as which of the following parameters increase? Preload, afterload, contractility, and heart rate. Preload, afterload, cerebral blood flow, and heart rate. Myocardial oxygen consumption increases as preload, afterload, renal contractility, and heart rate increase. Cerebral blood flow doesn’t directly affect myocardial oxygen consumption. Which of the following cardiac conditions does a fourth heart sound (S4) indicate? An S4 occurs as a result of increased resistance to ventricular filling after atrial contraction. The increased resistance is related to decreased compliance of the ventricle. Option A: A dilated aorta doesn’t cause an extra heart sound, though it does cause a murmur. Option B: An S4 isn’t heard in a normally functioning heart. Option C: Decreased myocardial contractility is heard as a third heart sound. A client comes into the E.R. with acute shortness of breath and a cough that produces pink, frothy sputum. Admission assessment reveals crackles and wheezes, a BP of 85/46, a HR of 122 BPM, and a respiratory rate of 38 breaths/minute. The client’s medical history included DM, HTN, and heart failure. Which of the following disorders should the nurse suspect? SOB, tachypnea, low BP, tachycardia, crackles, and a cough producing pink, frothy sputum are late signs of pulmonary edema. The serum potassium level is measured in the client receiving digoxin and furosemide. Heightened digitalis effect leading to digoxin toxicity can occur in the client with hypokalemia. Hypokalemia also predisposes the client to ventricular dysrhythmias. Catecholamines released at the site of the infarction causes intermittent localized pain. Parasympathetic reflexes from the infarcted myocardium causes diaphoresis. Constriction of central and peripheral blood vessels causes a decrease in blood pressure. Inflammation in the myocardium causes a rise in the systemic body temperature. Temperature may increase within the first 24 hours and persist as long as a week. Which of the following tests is used most often to diagnose angina? The 12-lead ECG will indicate ischemia, showing T-wave inversion. In addition, with variant angina, the ECG shows ST-segment elevation. Option A: A chest x-ray will show heart enlargement or signs of heart failure, but isn’t used to diagnose angina. Oral medication administration is a noninvasive, medical treatment for coronary artery disease. Option A: Cardiac catheterization isn’t a treatment, but a diagnostic tool. Options B and D: Coronary artery bypass surgery and percutaneous transluminal coronary angioplasty are invasive, surgical treatments. A nurse is preparing to ambulate a client on the 3rd day after cardiac surgery. The nurse would plan to do which of the following to enable the client to best tolerate the ambulation? Remove telemetry equipment because it weighs down the hospital gown. The nurse should encourage regular use of pain medication for the first 48 to 72 hours after cardiac surgery because analgesia will promote rest, decrease myocardial oxygen consumption resulting from pain, and allow better participation in activities such as coughing, deep breathing, and ambulation. Options A and C will not help in tolerating ambulation. Option D: Removal of telemetry equipment is contraindicated unless prescribed. Which of the following types of cardiomyopathy can be associated with childbirth? Although the cause isn’t entirely known, cardiac dilation and heart failure may develop during the last month of pregnancy or the first few months after birth. The condition may result from a preexisting cardiomyopathy not apparent prior to pregnancy. Option B: Hypertrophic cardiomyopathy is an abnormal symmetry of the ventricles that has an unknown etiology but a strong familial tendency. Option C: Myocarditis isn’t specifically associated with childbirth. Option D: Restrictive cardiomyopathy indicates constrictive pericarditis; the underlying cause is usually myocardial. A 55-year-old client is admitted with an acute inferior-wall myocardial infarction. During the admission interview, he says he stopped taking his metoprolol (Lopressor) 5 days ago because he was feeling better. Which of the following nursing diagnoses takes priority for this client? MI results from prolonged myocardial ischemia caused by reduced blood flow through the coronary arteries. Therefore, the priority nursing diagnosis for this client is Ineffective tissue perfusion (cardiopulmonary). Options A, C, and D: Anxiety, acute pain, and ineffective therapeutic regimen management are appropriate but don’t take priority. Which of the following classes of medications protects the ischemic myocardium by blocking catecholamines and sympathetic nerve stimulation? Beta-adrenergic blockers work by blocking beta receptors in the myocardium, reducing the response to catecholamines and sympathetic nerve stimulation. They protect the myocardium, helping to reduce the risk of another infarction by decreasing myocardial oxygen demand. Option B: Calcium channel blockers reduce the workload of the heart by decreasing the heart rate. Option C: Narcotics reduce myocardial oxygen demand, promote vasodilation, and decrease anxiety. Option D: Nitrates reduce myocardial oxygen consumption by decreasing left ventricular end-diastolic pressure (preload) and systemic vascular resistance (afterload). Which of the following classes of medications maximizes cardiac performance in clients with heart failure by increasing ventricular contractibility? Inotropic agents are administered to increase the force of the heart’s contractions, thereby increasing ventricular contractility and ultimately increasing cardiac output. Which of the following nursing diagnoses would be appropriate for a client with heart failure? Select all that apply. Ineffective tissue perfusion related to decreased peripheral blood flow secondary to decreased cardiac output. Activity intolerance related to increased cardiac output. Decreased cardiac output related to structural and functional changes. Impaired gas exchange related to decreased sympathetic nervous system activity. HF is a result of structural and functional abnormalities of the heart tissue muscle. The heart muscle becomes weak and does not adequately pump the blood out of the chambers. As a result, blood pools in the left ventricle and backs up into the left atrium, and eventually into the lungs. Therefore, greater amounts of blood remain in the ventricle after contraction thereby decreasing cardiac output. In addition, this pooling leads to thrombus formation and ineffective tissue perfusion because of the decrease in blood flow to the other organs and tissues of the body. Typically, these clients have an ejection fraction of less than 50% and poorly tolerate activity. Option B: Activity intolerance is related to a decrease, not increase, in cardiac output. Option D: Gas exchange is impaired. However, the decrease in cardiac output triggers compensatory mechanisms, such as an increase in sympathetic nervous system activity. There are 105 questions to complete. Short Term: After 3-4 hours of nursing interventions, the patient will participate in activities that reduce the workload of the heart. Long Term: After 2-3 days of nursing interventions, the patient will be able to display hemodynamic stability. Assess for abnormal heart and lung sounds. Rationale: Allows detection of left-sided heart failure that may occur with chronic renal failure patients due to fluid volume excess as the diseased kidneys are unable to excrete water. Monitor blood pressure and pulse. Rationale: Patients with renal failure are most often hypertensive, which is attributable to excess fluid and the initiation of the rennin-angiotensin mechanism. Assess mental status and level of consciousness. Rationale: The accumulation of waste products in the bloodstream impairs oxygen transport and intake by cerebral tissues, which may manifest itself as confusion, lethargy, and altered consciousness. Assess patient’s skin temperature and peripheral pulses. Rationale: Decreased perfusion and oxygenation of tissues secondary to anemia and pump ineffectiveness may lead to decreased in temperature and peripheral pulses that are diminished and difficult to palpate. Monitor results of laboratory and diagnostic tests. Rationale: Results of the test provide clues to the status of the disease and response to treatments. Monitor oxygen saturation and ABGs. Give oxygen as indicated by patient symptoms, oxygen saturation and ABGs. Rationale: Makes more oxygen available for gas exchange, assisting to alleviate signs of hypoxia and subsequent activity intolerance. Implement strategies to treat fluid and electrolyte imbalances. Rationale: Decreases the risk for development of cardiac output due to imbalances. Administer cardiac glycoside agents, as ordered, for signs of left sided failure, and monitor for toxicity. Rationale: Digitalis has a positive isotropic effect on the myocardium that strengthens contractility, thus improving cardiac output. Encourage periods of rest and assist with all activities. Rationale: Reduces cardiac workload and minimizes myocardial oxygen consumption. Assist the patient in assuming a high Fowler’s position. Rationale: Allows for better chest expansion, thereby improving pulmonary capacity. Rationale: Provides the patient with needed information for management of disease and for compliance. After nursing interventions, the patient shall have participated in activities that reduce the workload of the heart. After 2-3 days of nursing interventions, the patient shall have been able to display hemodynamic stability. Patient will verbalize understanding of causative factors and demonstrate behaviors to resolve excess fluid volume. Patient will demonstrate adequate fluid balanced AEB output equal to exceeding intake, clearing breath sounds, and decreasing edema. Weigh patient daily and compare to previous weights. Rationale: Body weight is a sensitive indicator of fluid balance and an increase indicates fluid volume excess. Assess for presence of peripheral edema. Do not elevate legs if the client is dyspneic. Rationale: Decreased systemic blood pressure to stimulation of aldosterone, which causes increased renal tubular absorption of sodium Low-sodium diet helps prevent increased sodium retention, which decreases water retention. Fluid restriction may be used to decrease fluid intake, hence decreasing fluid volume excess. Rationale: The client senses thirst because the body senses dehydration. Oral care can alleviate the sensation without an increase in fluid intake. Rationale: Heart failure causes venous congestion, resulting in increased capillary pressure. When hydrostatis pressure exceeds interstitial pressure, fluids leak out of ht ecpaillaries and present as edema in the legs, and sacrum. Elevation of legs increases venous return to the heart. Obtain patient history to ascertain the probable cause of the fluid disturbance. Rationale: May include increased fluids or sodium intake, or compromised regulatory mechanisms. Evaluate urine output in response to diuretic therapy. Assess the need for an indwelling urinary catheter. Rationale: Treatment focuses on diuresis of excess fluid. Institute/instruct patient regarding fluid restrictions as appropriate. Rationale: This helps reduce extracellular volume. Patient’s pain will be decreased. Patient will demonstrate activities and behaviors that will prevent the recurrence of pain. Assess patient pain for intensity using a pain rating scale, for location and for precipitating factors. Rationale: To identify intensity, precipitating factors and location to assist in accurate diagnosis. Administer or assist with self-administration of vasodilators, as ordered. Rationale: The vasodilator nitroglycerin enhances blood flow to the myocardium. It reduces the amount of blood returning to the heart, decreasing preload which in turn decreases the workload of the heart. Rationale: Assessing response determines effectiveness of medication and whether further interventions are required. Rationale: To provide nonpharmacological pain management. Rationale: A quiet environment reduces the energy demands on the patient. Rationale: Elevation improves chest expansion and oxygenation. Monitor vital signs, especially pulse and blood pressure, every 5 minutes until pain subsides. Rationale: Tachycardia and elevated blood pressure usually occur with angina and reflect compensatory mechanisms secondary to sympathetic nervous system stimulation. Teach patient relaxation techniques and how to use them to reduce stress. Rationale: Anginal pain is often precipitated by emotional stress that can be relieved non-pharmacological measures such as relaxation. Teach the patient how to distinguish between angina pain and signs and symptoms of myocardial infarction. Rationale: In some case, the chest pain may be more serious than stable angina. The patient needs to understand the differences in order to seek emergency care in a timely fashion. Ineffective tissue perfusion related to decreased cardiac output. Patient will demonstrate behaviors to improve circulation. Administer or assist with self administration of vasodilators, as ordered. Assess the response to medications every 5 minutes. Give beta blockers as ordered. Rationale: Beta blockers decrease oxygen consumption by the myocardium and are given to prevent subsequent angina episodes. Provide oxygen and monitor oxygen saturation via pulse oximetry, as ordered. Rationale: Oxygenation increases the amount of oxygen circulating in the blood and, therefore, increases the amount of available oxygen to the myocardium, decreasing myocardial ischemia and pain. Assess results of cardiac markers—creatinine phosphokinase, CK- MB, total LDH, LDH-1, LDH-2, troponin, and myoglobin ordered by physician. Rationale: These enzymes elevate in the presence of myocardial infarction at differing times and assist in ruling out a myocardial infarction as the cause of chest pain. Assess cardiac and circulatory status. Rationale: Assessment establishes a baseline and detects changes that may indicate a change in cardiac output or perfusion. Monitor cardiac rhythms on patient monitor and results of 12 lead ECG. Rationale: Notes abnormal tracings that would indicate ischemia. Patient’s temperature will be on normal level. Assess vital signs, the temperature. Rationale: Vital signs provide more accurate indication. Monitor and record all sources of fluid loss such as urine, vomiting and diarrhea. 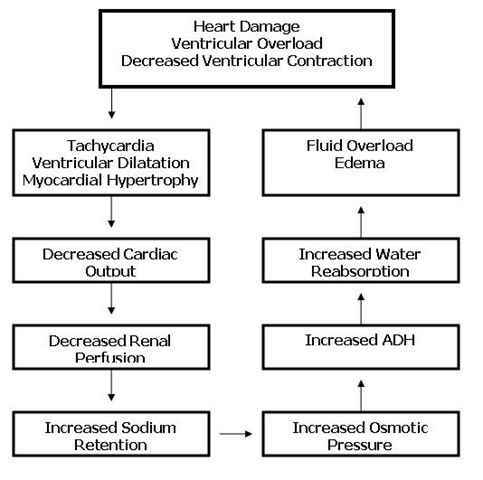 Rationale: For potential fluid and electrolyte losses. Rationale: To promote heat loss by evaporation and conduction. Rationale: To reduce metabolic demands and oxygen consumption. Remove excess clothing and covers. Rationale: Decreases warmth and increase evaporative cooling. Provide adequate nutrition, a high caloric diet. Rationale: The meet the metabolic demands. Rationale: To prevent an increase in body temperature and prevent shivering of the patient. Adjust cooling measures on the basis of physical response. Rationale: Shivering, which burns calories and increases metabolic rate in order to produce heat. Provide information regarding normal temperature and control. Rationale: This is especially necessary for patients with conditions at risk for hyperthermia. Rationale: Patients’ S.O. needs to be oriented. Rationale: To decrease body temperature. Control excessive shivering with medications such as Chlorpromazine and Diazepam if necessary. Rationale: Shivering increases metabolic rate and body temperature. Provide ample fluids by mouth or intravenously as ordered. Rationale: If the patient is dehydrated or diaphoretic, fluid loss contributes to fever. Provide oxygen therapy in extreme cases as ordered.